After Kurtis Patterson received his late-evening call from national selector Trevor Hohns to tell him to pack his bags for Brisbane, one of first people he was on the phone to - after his girlfriend, mum and dad - was New South Wales batting coach Beau Casson who the batsman has spoken of in glowing terms for his help in what has become a breakthrough season. Casson, the former left-arm wristspinner who played one Test before being forced to retire with a heart problem in 2011, took the NSW role in the build-up to the 2018-19 season as part of a coaching structure at the Blues. 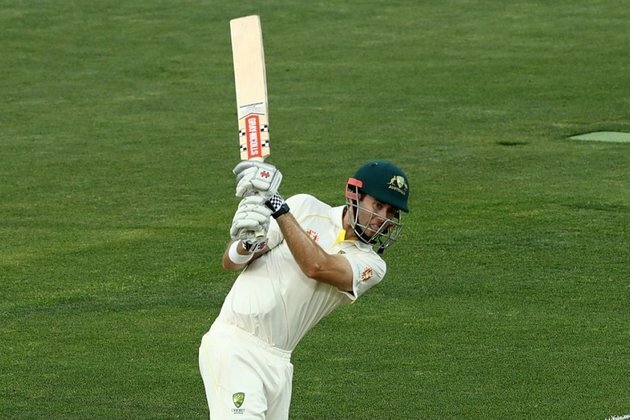 He has already forged a very close relationship with Patterson, whose back-to-back centuries against the touring Sri Lankans in Hobart offered an irresistible case to the selectors, who drafted him in despite already having made considerable changes to the batting line-up. "I've got to give a lot of credit to Beau Casson, we've forged a really strong relationship and he's absolutely fantastic for me," Patterson said. "I really enjoy the way he goes about his coaching, we get along really well on a personal level, which helps to start with, and I think he really understands batting and cricket. He keeps it really simple which I think is what I've been lacking in previous years, going too far the other way. He's just a good coach who knows the right things to say." However, Casson was more than happy to deflect the praise back the other way for a player he called very "self-sufficient". "It's flattering that Kurtis has said those nice things but he's probably giving me a little too much credit it there," Casson told ESPNcricinfo. "He'd identified areas from his own personal reflection that he wanted to work on and that's where you mustn't understate how much he thinks about his game. He has a really good self-awareness. [There have been] minor technical adjustments, but it's been about getting the right state of mind. I can't state this enough, he's done a huge amount himself. Also in a really conducive environment at New South Wales." Patterson's twin hundreds in the pink-ball warm-up, albeit not a first-class fixture, made it three in his last five red-ball innings following an unbeaten century against Western Australia when NSW were in deep trouble before the Sheffield Shield break in late November. It has been a stirring response to the debate about his conversion rate, which currently stands at six centuries in 103 first-class innings. After his first-innings ton in Hobart, Patterson admitted that the WACA hundred had been a key moment. "There's obviously been a bit of chat about that for the last little bit," he said. "I feel like there was a big monkey off the back in Perth which was really nice. So to go out there and get a big hundred for my club side, and again today, I just feel like it's off the shoulders, that weight's not there, I can go out there with some really good clarity and just play my game." Speaking on Monday, Patterson said: "I think taking a step back and relaxing when I'm in the middle [has made the difference], probably in the last couple of years I've thought about it too much when I've got in and tried to change too many things. This year I'm just letting it happen. There's been a couple of changes with my hands, getting my stance a little higher, but mainly it's just been some mental changes around my thinking and developing some simple, sound routines when I bat." Casson pinpointed the Sheffield Shield match against Victoria, where Patterson contributed two half-centuries in a game while NSW were skittled for 159 and 179, as a performance that stood out. Patterson, though, was never in any doubt that he had the skill for the step up, which narrowly passed him by two years ago when Nic Maddinson was called up to face South Africa following the infamous defeat in Hobart. "I think everyone was very confident. He'd been in really good form, he made starts which is when batting is most challenging when you first start. There was a match against Victoria, a heavy defeat for us, Kurtis made 50 in both innings on a wicket that was challenging when the chips were down, that was good indication he was in good touch. There have been a few training techniques he's done himself and now he's seeing the benefits. He's a student of the game, loves the game, and it's exciting for Australian cricket," Casson said. When the pair chatted yesterday evening, any coaching advice was left behind and Casson had one simple message for Patterson: "I just said enjoy this moment with your loved ones, they've been on the rollercoaster ride."